packaged neatly in a 1972 Shasta Camper. 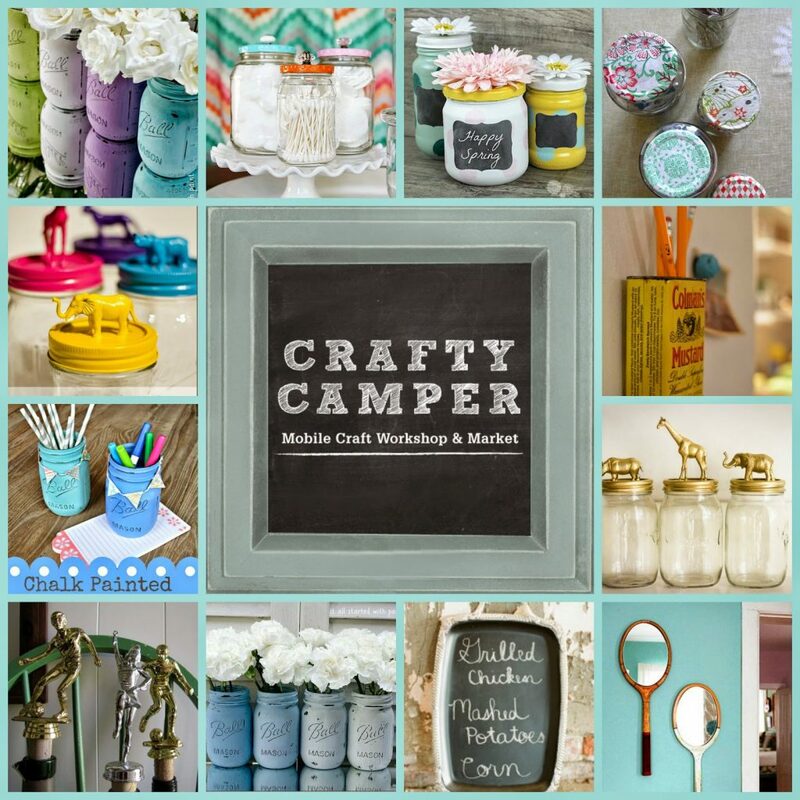 upcycle thrift store finds into new and creative items for your home. It’s time to stop pinning and start crafting. other odds and ends you’ve been collecting. You’ll even work on a make and take of your own, with Denise’s help. And get your Craft on! 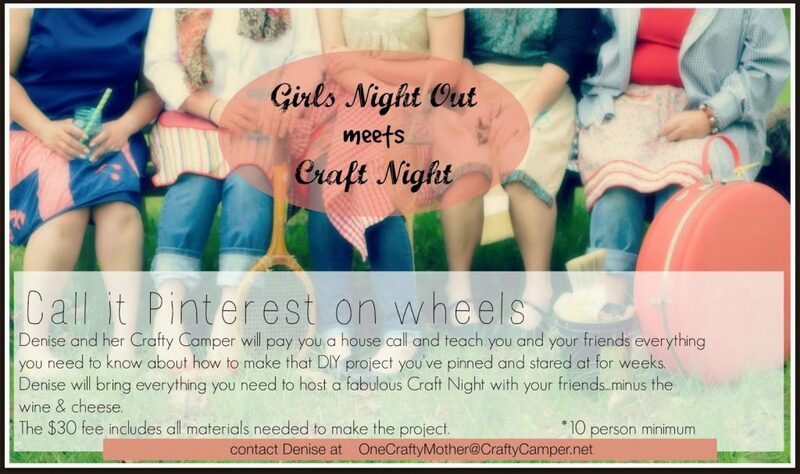 So whether you are looking to bring home a great new item or hang out and learn a few things from Denise, visit CraftyCamper.net, simple click on “On The Road” and check out where the Crafty Camper is headed next! 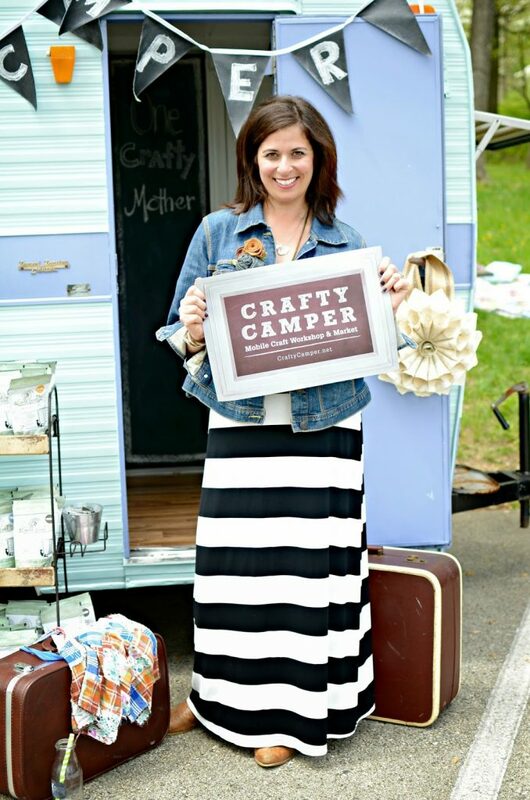 Also, The Crafty Camper is a certified Miss Mustard Seed milk Paint Retailer. So if your looking to stock up on your milk paint, or get started on a painting project, pick up an envelope of MMS Milk Paint while your there. so gather the girls and let’s plan it!